Mold on food is characterized by a distinct greenish or blueish color which typically has white spots. Moldy food is spoiled, and it doesn’t taste good either. You must have noticed mold formation on your bread, cheese, vegetables or fruits at least once. Sometimes mold can also have a fluffy appearance like in the case of strawberries. Mold is basically a type of fungus that causes food to decay. Most people refrain from eating moldy foods because of the disgusting appearance while others think it can be harmful to health. Then there are those who accidentally eat moldy food or consume it because they don’t want it to go to waste. The question here is, should or should you not consume moldy food? Is it safe for consumption? Is Mold Safe For Eating? If you ever happen to ingest a mold-contaminated food, don’t panic. It will likely not have any side effects. Moldy food is rarely dangerous. The fungi that the food as formed on its surface has deep roots, but it is hardly ever infection-causing fungi. However, this does not mean that it is encouraged or recommended to eat moldy food. You see, certain moldy foods comprise of mycotoxins that can be poisonous. These can lead to diseases and even death. If you experience nausea, chills, diarrhea, vomiting, weakness, aches or cramps after consuming moldy food, then you must call your doctor. Typically, molds are formed in moist conditions or on moist foods. However, some types may also develop on foods that are dry or sugary. Therefore, if your food turns moldy, ditch it even if that means it will get wasted. Though, you must note that certain foods can be eaten by cutting the mold out. These include ham, cheese, and hard fruits and veggies. Be sure you cut at the least 1 inch around the mold. Don’t let your knife get in contact with the mold. Foods that should be immediately discarded include bread, soft fruits, veggies, cheese, jam nuts, peanut butter, creams, and meats. To avoid moldy foods, ensure that you check the labels of the products you purchase. Notice the manufacturing and expiration date. Don’t purchase food products in bulk as fresh is better. Moreover, make sure your storage containers are of a high-quality. Don’t forget to place perishables in the fridge. Keep your refrigerator clean as well, scrub off molds from walls if any, and don’t keep leftovers for long. It is best to consume them as soon as you can. Also, read the storage and use instructions on all food packages. While it is not recommended to consume moldy food, know that if you do so accidentally, it will likely not have negative side effects. However, do not purposefully consume moldy food. Mold is fungus that contains toxins and has deep roots. 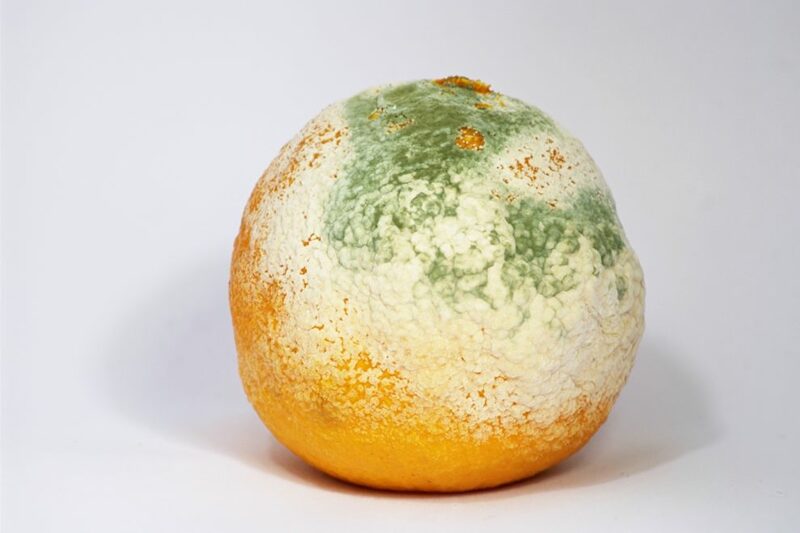 Most foods with mold formation go to waste while some, firmer ones can be consumed only if the mold is properly cut out.